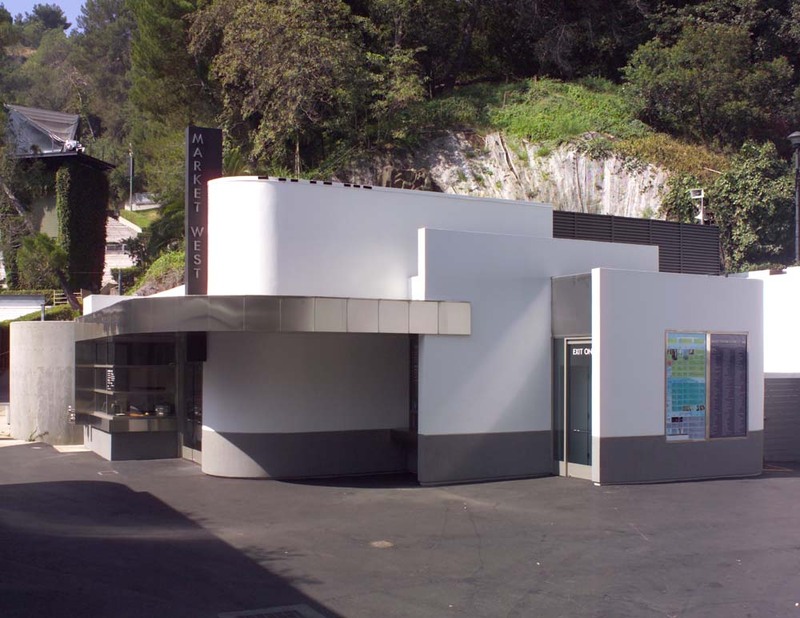 The curvilinear signature of the Hollywood Bowl was the paradigm for applying my architecture to this ground-up addition for a Westgate Pavilion. Its function was designed to speedily serve pre-packaged portable snacks and a few American Standards like the hot dog. The footprint for the plan was limited. The idea was to increase service windows relative to exterior space and heighten flow and function within. 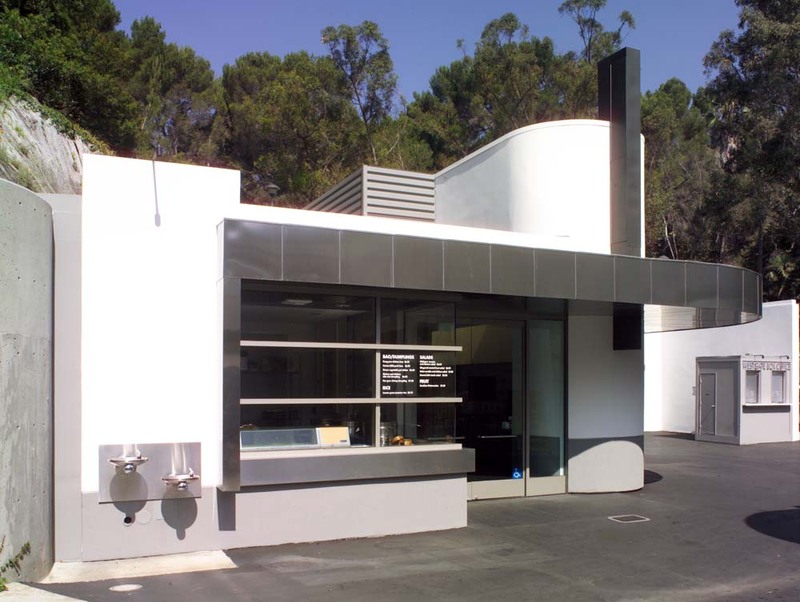 The exterior was conceived as a modern motif detailed in hand troweled plaster and glistening, rounded, stainless steel, to mirror the classicism of its surroundings and imply that this modernity might be original and timeless as the eponymous architecture of the amphitheater.